Welcome to ArsenalPC.com, the online home of Arsenal PC Inc. Arsenal PC is a retailer committed to becoming the most convenient and trusted store. Located in Willoughby Ohio, we have been in business since 1997. 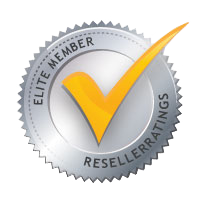 With more than half a million products on the website, ArsenalPC.com proudly earns the loyalty of both tech-enthusiasts and mainstream shoppers. By offering a superior shopping experience, rapid delivery and stellar customer service, we would like you to become one of our thousands of satisfied customers. We have dedicated ourselves to making sure that everyone enjoys shopping at ArsenalPC.com. We take great pride in working hard to exceed your expectations every time you shop with us. We supply our customers with the important decision-making resources such as detailed product information and high-resolution photo galleries. To help ensure your greatest satisfaction, our service associates are available via phone, e-mail and online chat. At Arsenal PC, we believe in providing wide selection of products and fair pricing along with a commitment to prompt order fulfillment. Customer satisfaction is our first and foremost priority, which we achieve by combining a high standard of service with a philosophy that puts the customer first. Please contact us by phone if you are interested in picking up your order from our retail store. Merchandise is not available for pickup without prior arrangements.